This week the PGA Tour heads to Ponte Vedra, Florida for this years’ renewal of the Players Championship. Often labelled the “fifth major” due to the strength of field assembled, we are sure to be in for a great week of golf. There is plenty of opposition when it comes to this event being tagged as a “major championship” but given the amount of top players that play this week (all of the World’s top-50 are playing) it really is hard to dispute. It is a tough event to win and a to this point impossible one to defend, so demands the very best from the best players in the game, everything a major championship is supposed to. TPC Sawgrass is one of the most iconic courses on the PGA Tour, and underwent modifications before the 2017 renewal, noticeably changing the greens from Mini Verde greens to TifEagle Bermuagrass. In addition to the green changes, holes 6 and 7 were altered to improve spectator viewing, and the Par-4 12th was reduced from 360 yards, to 305 yards with more bunkers and water added as well, making it an ideal risk/reward hole. Si-Woo Kim’s winning score (-10) was the highest since Sergio Garcia’s winning score of -5 in 2008, with the eight winning scores between ranging from -12 and -16, so it appeared to be a tougher test last year than it has been over the last decade. Hitting Greens in Regulation will be advantageous, but given how small the greens are here, some are inevitably missed, so Scrambling well is essential here. Below is a look of how the last five winners here have ranked in these two categories. As you can see only Kaymer and Woods of the last five winners have been able to rank inside the top-10 in both categories, but all five have finished inside the-10 for Scrambling the week they won here at Sawgrass. Putting well on Bermuda will of course be helpful, due to the return to Florida, however of the last five winners, only Day (8th) has ranked better than 19th in SG: Putting. Course experience helps a tonne, naturally given how tough this test can be, even if course form isn’t necessarily required. Kim won on just his second start here last year, following a 23rd place finish on debut in 2016, however the trio of Day, Fowler and Kaymer had all played the event five times before winning, with varying results. Fowler had four missed four cuts and finished 2nd here, before winning in 2015, and missed the cut again in 2016 before finishing 60th in 2017. Day had three missed cuts in his first five starts as well as 6th and 19th place finishes, before finishing 60th on his title defence last year. Kaymer was a lot more steady prior to his win, making all of his first five cuts, but finishing inside the top-19 just twice in that span. In three subsequent finishes, he has mustered up a best place finish of 39th, despite making it 9/9 for cuts made. Kim proved you can win with limited experience, but generally speaking looking at the winners list, the title generally goes to an experienced head here. Interestingly as well, the best finish by a defending champion here is T5 (three times), with nine of the lucky winners here missing the cut 12 months after they won, with a further three missing their defence through illness. Hal Sutton (1983) and Craig Perks (2002) both won this event on their course debut, but despite there being two cases here as opposed to just one, the record for debutants winning at TPC Sawgrass is similar to Augusta, where it is notoriously difficult for those making their first visit. All in all, those with some experience of the course, who can scramble well amongst other things, will certainly be worth considering this week. Given a run of form which has seen him finish T6 or better in each of his last three events, Stenson looks great value to win around this course for the second time in his career, joining an illustrious list of six players who have achieved the same feat. In 2018, Stenson has finished 8th or better in five of his seven events and whilst their was a slight dip in form at the Maybank Championship (T60) and the Valspar Championship (MC), the Swede looks to be on top form once again. A particular highlight of his year so far was his T5 finish at Augusta, which was by far and away his best effort there in 13 starts. His previous best was T14 in 2014, the season after winning the FedEx Cup and Race to Dubai trophies. That 5th place finish at Augusta should give him every confidence to go on and win this season, as he looks for his 7th PGA Tour title and 21st Professional win worldwide. It has been nine years since Stenson won here at TPC Sawgrass, and in that time he has won eight times across the European and PGA Tour’s, including his Open Championship win in 2016. 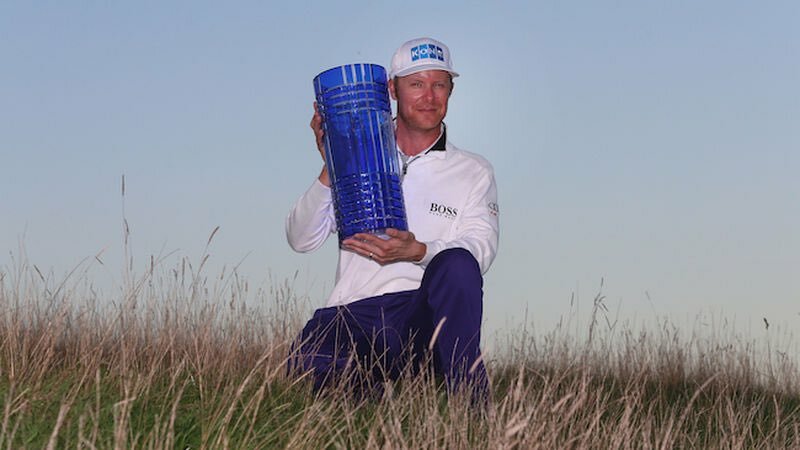 That win at Royal Troon was his first major title, and the only win bigger than the one he secured here all those years ago. In total, Stenson has made 13 starts in this event and has a win, a 3rd, a 5th and a 10th place finish, and is 10/13 for cuts made. Since winning in 2009, his best finish here was his T5 finish in 2013 which could have been a whole lot better. Stenson was sat T2 and two behind fellow Swede, David Lingmerth going into the final round, but a 72 on Sunday saw him fall three places. Coming into this week, Stenson leads the Tour in SG: Approach-the-Green, Driving Accuracy and Greens in Regulation, whilst also ranking 4th in Scrambling and 6th in SG: Tee-to-Green which suggests his game is in great shape all-round. This is of course is largely down to the fact there is just 22 rounds of data to go by, but his efforts so far cannot be ignored and if he continues to play consistently for the rest of the season, I am sure he will rank highly in these areas when the season comes to a close as well. Whilst not standing out so far on the greens, Stenson ranks a respectable 54th in SG: Putting, including 11th in 3-Putt Avoidance, which is a huge plus at Sawgrass. Given his recent play and that impressive run at the Masters I am happy to chance that “The Iceman” can get into the winners’ circle for the third consecutive season, at a course that clearly suits his eye. It is very much rinse and repeat for a player I have now selected for the third time in as many weeks. This may well be a case of “the fear of missing out” after being on him for his last two events, but those 3rd and T4 place finishes confirm his excellent credentials and I have long had him pencilled in for this event. In his last three events I have been able to put him up at 50/1, 60/1 and now 55/1 and this is all since his 2nd place finish at Bay Hill, where it took an outstanding 64 from Rory McIlroy on Sunday to deny him. His price has remained consistent, largely due to the strength of fields of late, but he is holding his own in each event, and I expect nothing different this week. DeChambeau has largely beat himself in his last two events, finishing T3 at the Heritage, following a third-round 75, which could not be overcome, even with a final-round 66. He was still just one shot shy of making the play-off and it was a similar story last week. A 75 in round one meant Bryson started the week on the back foot at Quail Hollow, but rounds of 65-66 over Friday and Saturday ensured another chance of victory for the third time in four starts. It wasn’t to be however as a final-round 70 was not enough to put the pressure on eventual winner, Jason Day who finished four strokes ahead of him and two ahead of the field in the end. This course once again plays to DeChambeau’s strengths, who ranks 17th or better in SG: Approach, Off-the-Tee and Tee-to-Green. He is a debutant here, which did lead to some hesitancy on my part, but he is clearly a special talent and one that can break the mould when it comes to trends. His two top-4 finishes at the RBC Heritage suggest he can get on with Pete Dye designs and hopefully he can get on with this one at the first time of asking. If he can just keep the blow-up holes off his card one week, he is going to get his second PGA Tour victory and hopefully he can do that here, despite it being one of the toughest tests on Tour for debutants. Whilst I didn’t get involved in the Zurich event, I did tweet out to say that I liked Horschel and Piercy’s chances, due to Horschel’s run of form and Piercy’s prowess Tee-to-Green and they ultimately proved me frustrated as I didn’t pull the trigger. This time though, I fully intend to take advantage of Horschel’s good run, as he tees it up individually for the first time since that Zurich win, following a week off. We all know Horschel is a man who likes to ride form and he will hopefully continue to do so, in his home state. Horschel was born, raised and educated in Florida and is fondly known as “Alligator Billy” due to his college career with the Florida Gators. At Sawgrass he has shown some promise, finishing 26th, 13th and 28th after missing his cut on debut and doing so again 12 months ago. He was only five shots adrift in 2015 when 13th and singular rounds of 75 on the Saturday in both 2014 and 2016 de-railed his chances of higher finishes. With a few years of experience now under his belt around this track as well as plenty of local support, I do believe Horschel will find himself in contention sooner rather than later in this event, and he has the ability both technically and mentally to get over the line if he does. Luke List has been having a very good season, with a missed cut at the Valero Texas Open his first since missing three weekends on the bounce between Mayakoba and the CareerBuilder Challenge. The only thing missing from his season and indeed career is a win, and he is surely in contention to be the next maiden PGA Tour winner. After a missed cut in Texas, it seemed many people were put off and perhaps his recent run had come to an end, but he bounced right back into form at Quail Hollow last week, finishing in a tie for 9th. List ranks 4th on Tour in SG: Tee-to-Green, 7th in SG: Off-the-Tee and 10th in SG: Around-the-Green, leaving his putting (153rd in SG: Putting) as the major contributor in his failure to win. Eventually you’d like to think List can get over the line, and whilst it may be hard to see him doing it here, at an event he has played just once (MC in 2017) and has to take on a particularly strong field, I think his price reflects that and then some. List only missed the cut by one stroke last year, bettering his opening round 78 by 9 strokes on Friday to give himself a chance. The fact he broke 70 here is enough to suggest to me that he can play well here when on form, coupled with his excellent showing at Pete Dye’s, Hilton Head last month (T3). Another player in fine fettle is Emiliano Grillo, who missed his first cut since last year’s Wyndham Championship at the Zurich Classic two weeks ago. Given the format and the fact it is a team event, I am happy to forgive the Argentine for the week in New Orleans, especially after getting right back into form at the Wells Fargo Championship last week. Grillo shared 9th place with List at Quail Hollow this past weekend, where a bogey-bogey finish on Sunday saw him miss out on a top-5 finish. Had he have held on that would have been his second top-5 finish in his last three starts, but instead settled for his fourth top-10 of his PGA Tour season. After good showings at the Honda Classic (T8), the Hero Indian Open (6th, but should really have won) and T26 at Bay Hill, Grillo slumped to a T50 finish at the Corales Puntacana event, which he was expected to win. Again, like last week he bounced back after a week of adversity, finishing T3 at the Houston Open as he made one last ditch effort at making the Masters. A T16 finish at the Heritage the week after the Masters and subsequent top-10 at Quail Hollow suggest he’s still more than ready to add to his sole PGA Tour title. Long expected to be the successor to Angel Cabrera, Argentina’s finest golfing export, Grillo will need to better Cabrera’s two major wins, to seriously take his title. A win at this event would go a long way to preparing him for major victories and he has every chance of getting such a result on this course. Grillo finished 11th on his second start here last season, where a final-round 75 somewhat undid his Saturday 67. He finished just three shots shy of Kyle Stanley in 4th place, proving what might have been had he shot par or better on Sunday, as he had done in the first three rounds. It seems like forever ago since Grillo won the Frys.com Open and Web.com Tour Championship and he will be keen to take advantage of some good current form and get that long-awaited second PGA Tour victory.